I think everyone has gone up to the attic and been surprised by how hot it is. Its just a small step from observing the heat to wondering if you could make use of it somehow. I added a new section that gathers together a few schemes for using attic heat for space or water heating, and other things -- here are a few samples -- see the link below for all the details. Tim just did a project on EcoRenovators that makes use of attic heat in a nice simple way --he just blows hot attic air down into the house when the attic is hot and house needs heat -- nice and simple, and it works. This is Tim's setup -- it uses a chimney that is not in use anymore to channel the air down to the kitchen. A homemade differential controller decides when to turn the blowers on. 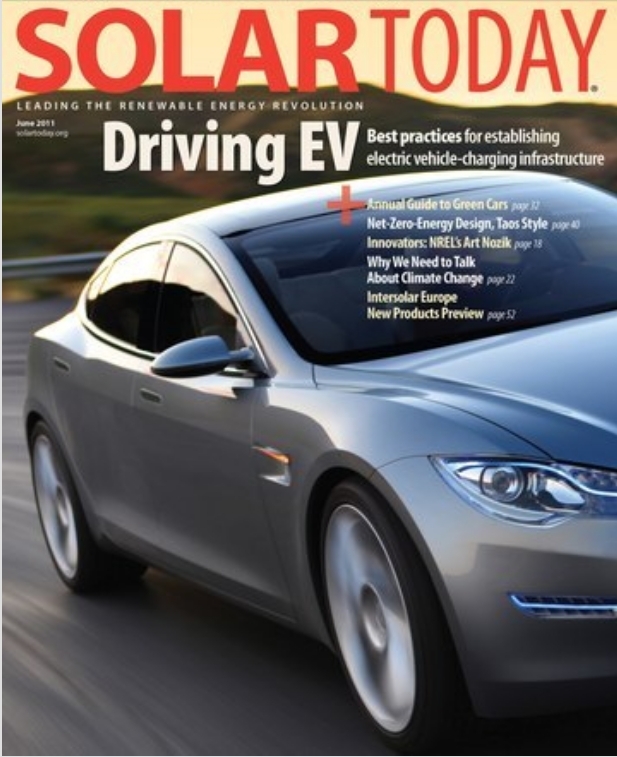 The picture to the left is the "Black Roof" solar heating scheme. This scheme basically harvests attic heat for space heating with just a few simple components and a blower. It is said to be effective in cold climates that get quite a bit of sun -- eg Colorado. 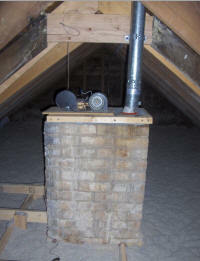 There have been a number of schemes to use the attic heat to preheat domestic water. This is a recently announced commercial offering that uses PEX tubes installed in the attic vent system to harvest heat. Another idea that I like is picking up the inlet air for the clothes dryer from the attic. Electric clothes dryers are big time energy users -- they not only use about 4 KWH of electricity per load, but they also end up sucking cold outside air into the house as they blow the air they have just heated out into the cold (wasting all the heat they just added to it). If you could work out a way to pull hot air from the attic for the dryer it would eliminate all this cold air infiltration and the drywer could use less electricity since its inlet air would be hot already. The nice thing about this is that you can time the drying to coincide with times when the attic is hot. The ability to pull useful heat out of the attic will depend a lot on the climate you live in. In our very cold climate, the space heating applications would be limited to the shoulder seasons, but this still could be an important source of heat. The link below has my logged hourly attic temperatures for about a year. If the use of attic heat idea could be incorporated in the initial design of the house there are all sorts of interesting and cost effective things that could be done to make the attic an effective heater. Things like designing the attic to be a more efficient collector through the design of the roof surface, the attic vent system, and selective use of insulation on non-collecting surfaces could make the attic a fairly efficient and very large solar collector for not a lot of extra expenditure. Introducing glazing could make the attic collector competitive with commercial air heating collectors. Got any ideas on any of this? Have you used attic heat? How?